The culmination of a deal signed just over a year ago is that Microsoft’s Bing now powers Yahoo! search. The actual search impact remains to be seen, but it’s worth noting that the two search engines together (Yahoo! 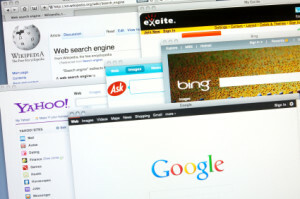 and Bing) account for only about 30% of U.S. searches – with Google at 65%. So, if you search for “Australia” with travel-related qualifiers, Bing can “surmise” that you’re planning a trip. The search engine can then present search results in line with this and make your search efforts more productive. The goal, in a nutshell, is to personalize search. And what does this mean for a brand? To have an effective Search Engine Optimization (SEO) strategy, you have to REALLY know your audience. Search engines are continuing to evolve – with the goal of providing searchers what they really want and not just what they have asked for. So now the time is ripe for brands to look inward to ensure that their offerings, online messaging, and new content are in synch with the demands of their target markets. When’s the last time you conducted research into your buying audience (i.e. customers and prospects)? 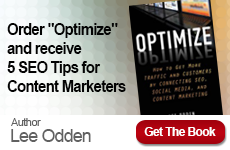 Do you have an editorial plan that outlines content for your different audience segments? 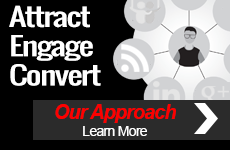 Have you created content for each step in the buying cycle? Your answers to these and other similar questions should serve as a litmus test for how well your content aligns with your target audience.